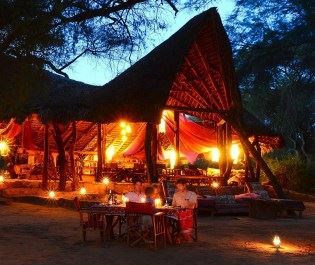 Beautifully designed and liberally sprinkled with opulence, Sasaab offers a relaxing base to the west of Samburu National Reserve. Adventure and tranquillity blend naturally here and we love how every guest enjoys a program that reflects their mood. Flexibility is at the heart of Sasaab’s appeal. 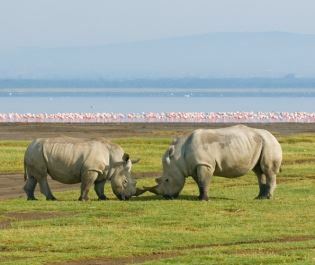 Wildlife mixes with local culture in the lodge’s conservancy. It’s home to lots of animals plus a few small Samburu communities, creating a rounded picture of ancient life on these remote plains. You can take short game drives that slowly unravel the intricacies to this sublime land. Guided walks increase your immersion in nature and it feels very special to be guided by the local Samburu. There’s also an option to head out to Samburu National Reserve where the bumpy adventure brings an increased abundance of wildlife. 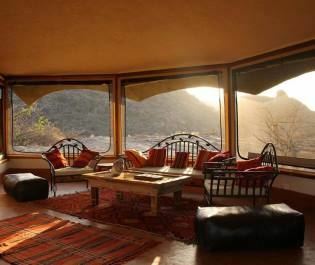 Perhaps try camel riding, visit a village market, or lounge in the swimming pool and savour the spectacular panoramas. Guides can arrange hot bush picnics or fried breakfasts overlooking the elephants; or they can lead you on a trail along the river that ticks off dozens of unique animals. This individualised program immerses you in new worlds. That mixes nicely with the homely feel of the camp. 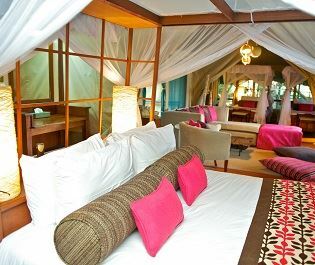 Lavish tented suites measure over 100 square metres and come with many luxuries. Each has a plunge pool with river views and various place to rest and relax. 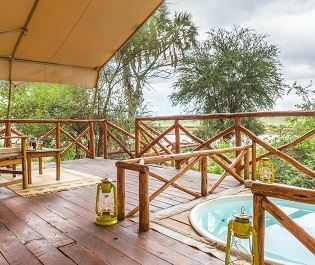 With so much privacy, Sasaab helps you retreat into your own world, making it great for romance and families. Children over five are welcome here and the opportunity to interact with local Samburu children makes this a very inspiring choice for families.